Life is full of challenges that may require support from a professional therapist. We will discuss your specific need during your initial phone call with Maryellen P. Mullin, LMFT, founder of San Francisco Family Therapy. develop or refine skills, such as coping skills, communication skills, parenting skills, etc. manage life transitions, such as loss of a relationship, becoming a parent, marriage, divorce, etc. Therapy may be a brief process of several sessions to deal with an immediate issue, or it may be a more extended process to deal with more complicated or entrenched patterns that interfere with you or your family's life. Therapy consists of regular weekly or bi-weekly appointments. At San Francisco Family Therapy, our therapeutic approach and treatment draws from Cognitive Behavioral Therapy (CBT), Psychodynamic and Family Systems orientations. If making it to the office is challenging, our CEO and Founder, Maryellen Mullin, LMFT, offers online consultation, please call to discuss. If you are seeking support and/or classes for marriage or commitment ceremony preparation, Maryellen P. Mullin, LMFT is a Prepare/Enrich Facilitator (http://www.sanfranciscofamilytherapy.com/prepareenrich.html). Maryellen P. Mullin, LMFT, has completed the three levels of The Gottman Method Couples Therapy training and am currently a candidate in the Gottman Certification Track. 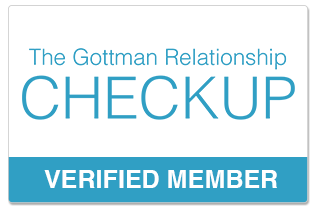 Before starting couples therapy, we will assess strength and growth areas in your relationship with the research-based online assessment, The Gottman Relationship Checkup. This assessment is designed specifically for couples to understand your unique relationship dynamics, identifying strength/growth areas, and to use the Gottman research-based interventions in couples therapy. Level 1: Bridging the Couple Chasm, Level 2: Assessment, Intervention and Co-Morbidities and Level 3: Practicum Training.